Our staff utilizes a compassionate and personal approach to treatment achieving better and faster results for our patients. Many physicians, employers, case managers, and insurance companies are choosing Total Rehabilitation, Inc. as their first choice for effective physical therapy and rehabilitation. We hope that you would make our office your first choice like others. We offer all the physical therapy treatments to which you are accustomed including ultrasound, electrical stimulation, iontophoresis, paraffin baths, whirlpool, fluidotherapy, short wave diathermy, and hot/cold packs. Anodyne infrared: Indicated for peripheral neuropathy, peripheral vascular disease, and helps relieve chronic painful conditions like fibryomyalgia and other musculoskeletal disorders. We are the only providers in the area to offer this type of therapy. Click Here to Learn More. Decompression Traction Therapy: A state of the art traction machine that consists of decompressing the interverterbral discs relieving pain associated with herniated discs, protruding discs, degenerative disc disease, posterior facet syndrome and sciatica. Fitness is a key component in the rehabilitation continuum. Total Rehabilitation offers a wide variety of options in wellness programming to help people of any fitness level increase their ability to lead happy, healthy, productive lives. Our programs are medically based and are designed to help participants reach their fitness goals and regain or maintain their health. Our instruction is especially helpful for individuals with medical risk factors due to injury, illness, disease, disability or age and ideal for people who don't know how to start exercising or have never exercised before. We are proud to provide a safe, welcoming, caring environment for those who are at lower fitness levels, while offering performance based workouts for those up to the challenge. Martial Therapy is a unique, non-contact program designed to combat the effects of Parkinson’s Disease and other neurological disorders. 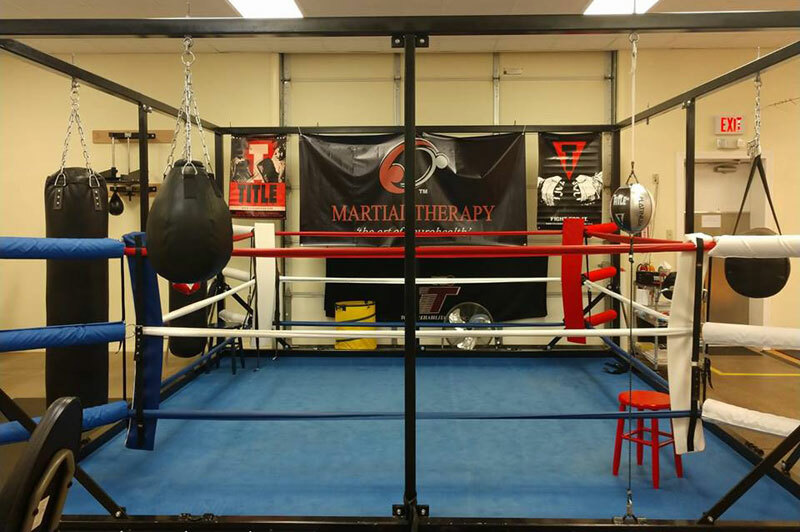 Martial Therapy was developed utilizing traditional boxing, freestyle wrestling, kick boxing, and Jiu-Jitsu martial disciplines, created under the scrutiny of a licensed physical therapist and certified mixed martial arts instructor.